Learn how to get the most out of using a rice cooker in this go-to guide—with 175 recipes for cooking nearly everything from soups and appetizers to meats, veggies, pasta, and even dessert. Rice cookers are a great way to perfectly cook rice, but they’re also great for cooking just about everything else! These popular kitchen appliances can steam, stew, stir-fry, braise, and sauté, almost like a portable stovetop. In The “I Love My Rice Cooker” Recipe Book, you’ll learn how to use your rice cooker to create 175 delicious, one-pot meals that are healthy and easy to make using fresh ingredients and basic pantry items. With detailed explanations of the techniques and processes you can use, this cookbook will empower you to use your rice cooker in news ways to create your favorite dishes. "This cookbook far exceeded my expectations. The recipes are very easy to follow, and don’t use too many exotic ingredients, making it a great cookbook for beginners too! 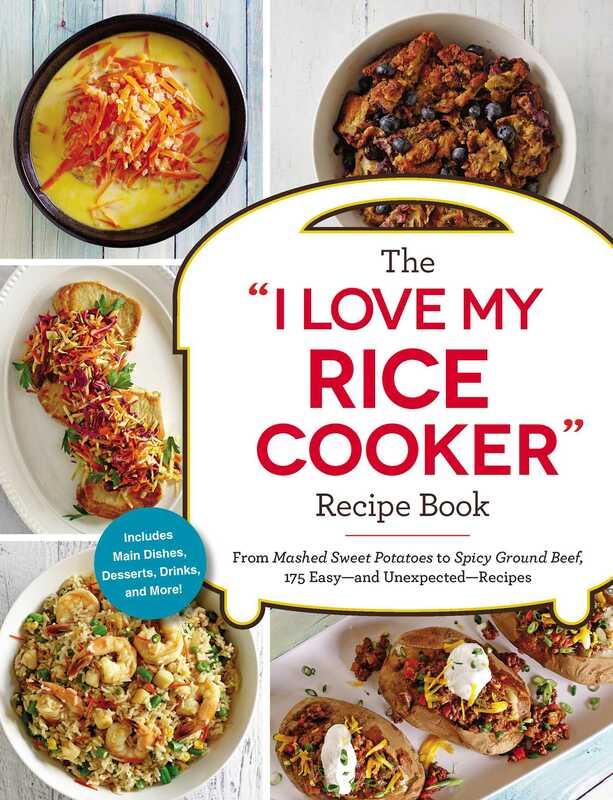 If you are looking for a new, innovative, and very fun cookbook to add to your collection, I highly recommend The I Love My Rice Cooker Recipe Book!"